I have a serious addiction to thrift stores. My home is filled with thrift-ed finds. The mirror, metal tray, antique book, glass bottles, and wrought iron candle sconces, were all thrift-ed at different times throughout the past six years. 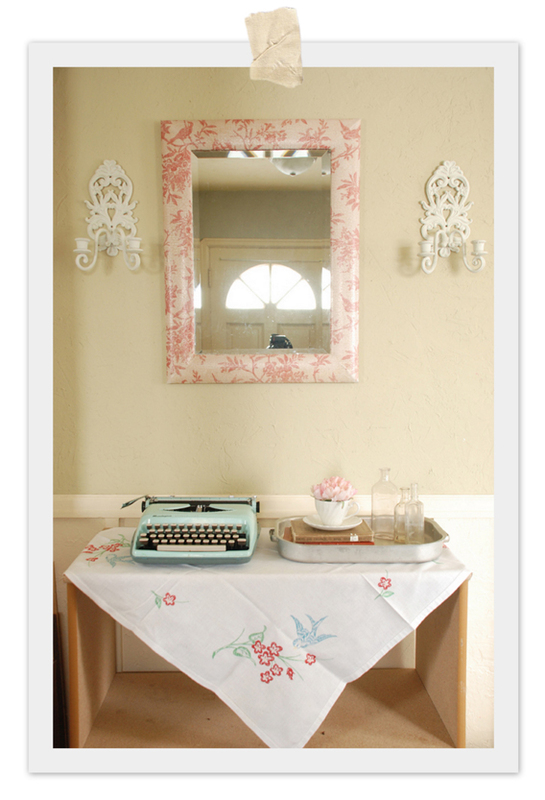 (I am currently hunting for the perfect entry table. This stand in particle board shelf isn't doing the trick for me.) My most recent purchases are probably some of my most favorite though. Just last week I found the Tiffany blue typewriter. I have another typewriter (beige) that looks really similar that is also thrift-ed. they will look great together. I also found this hand embroidered table cloth. 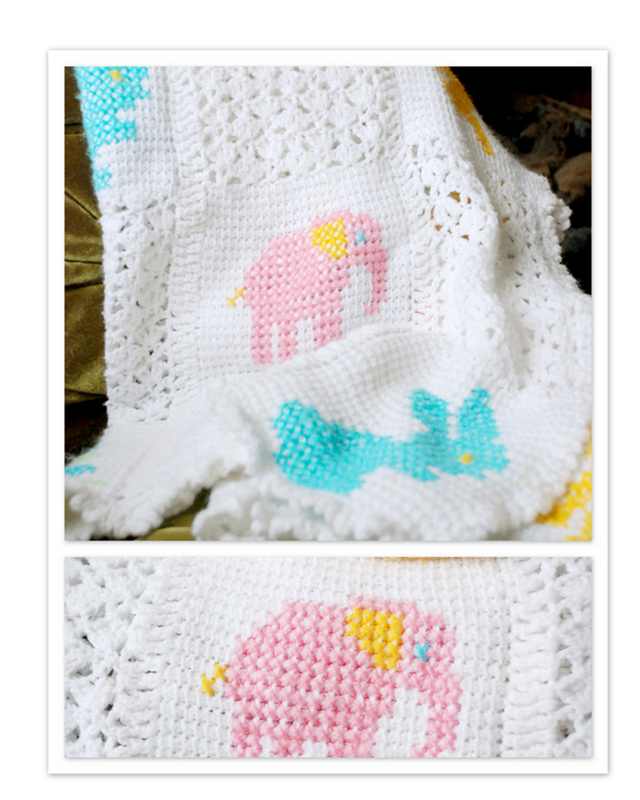 The other thing I found was this hand crocheted baby blanket with cross stitched animals. I love this blanket the most I think. I love to sit and stare at it while I'm nursing the baby. I am so inspired by the combination of crochet and cross stitch. I now have crochet/cross stitch ideas added to my ever accumulating list of craft projects. Oh so beautiful! 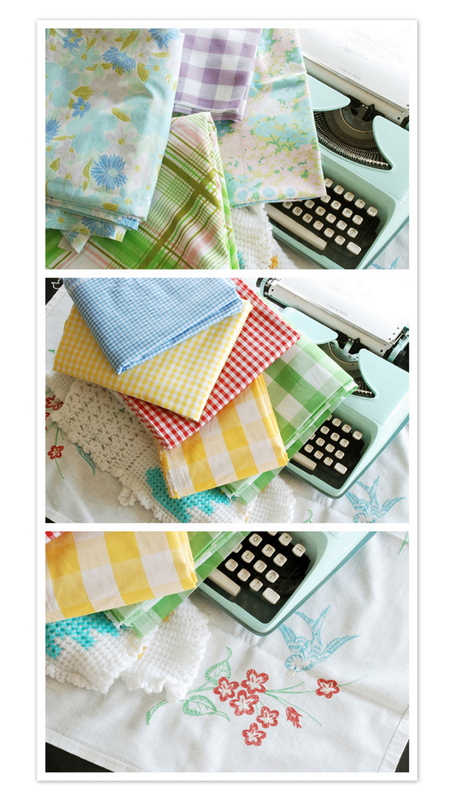 I love that type writer and I adore gingham too! You really have an eye for all things beautiful Lorajean. I feel like I'm 5 years old at grandma's place.. That is so beautiful..